In this keynote article, the present criminal New World Order of neoliberal globalization ― which, through its military and economic violence, has led to despair the majority of the world population for the benefit of a small minority ― is analyzed, in the light of the decisions taken by the latest G20 meeting in Brisbane. 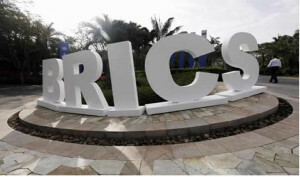 It is shown that the BRICS countries, which subscribed to a communiqué constituting a pure celebration of neoliberal globalization extolling the basic principles on which the NWO is based, have forfeited any right to an alternative pole in a new multipolar world. The only potential exception is Russia which, exactly because of its uneven relationship to this criminal World Order, is presently the main target of the Transnational Elite that runs it. In this sense, Russia stands once more, following the 1917 revolution, at an historic crossroads and not only its own fate but also that of the entire world will be determined by the decisions it takes, i.e. whether a new long period of Dark Ages will emerge, or whether instead the foundations will be set for a real society of self-determination. The G20 summit which just ended revealed, by its actions and omissions, a great deal about the present New World Order (NWO) of neoliberal globalization and, even more significantly, about Russia’s uneven relationship with this criminal Order. Criminal, in a double sense. First, because of its millions of victims, as a result of the military violence used by the Transnational Elite (TE ― i.e. the network of elites mainly based in the G7 countries which runs the NWO) in its systematic effort to integrate every corner on the earth into this Order. That is, the victims of the wars it launched in the last quarter of a century or so with this aim (Yugoslavia, Iraq, Afghanistan, Libya) as well as of its proxy wars (Syria and Ukraine). Second, because of the even greater number of victims who have suffered as a result of the economic violence that the NWO of neoliberal globalization had institutionalized all over the world. This was the direct result of the opening and/or liberalizing of markets for commodities, capital and labor and the consequent destruction of the social welfare systems imposed through the various structural adjustment programs by the international institutions (IMF, World Bank etc.) controlled by this elite, as well as by economic unions like the EU. Such programs were forcing people in the South to try to emigrate en masse to the North, where they had to compete with local workers for badly paid jobs under exhausting working conditions, thanks to the “flexibility” of labor ― another basic element of neoliberal globalization ― that was bringing down wages generally and attracting consequently the hostility of (uninformed) local workers. It was through this process of opening and/or liberalizing the markets for commodities, capital and labor that neoliberal globalization (which was instigated by the Transnational Corporations-TNCs), brought about the economic growth that has been achieved in the last quarter of a century or so. This process has led also to the mass movement of capital to countries like China and India, which were offering cheap and flexible labor, creating the corresponding economic “miracles” in these countries, as well an inevitable de-industrialization in the North. Byproducts of the same process of neoliberal globalization are the “zero hours” contracts, the generalization of part-time/occasional employment and the essential freezing of real incomes in the North and almost slavery conditions in vast zones of the South, particularly in the cases of “economic miracles”. No wonder as a result of this kind of growth, resulting in prosperity for the few and desperation for the many, according to the latest statistics, the concentration of income and wealth in fewer and fewer hands has led to the present unbelievable situation when the richest 1 percent in the world (i.e. the population of the two largest cities in the world, Tokyo and Seoul), share almost the same wealth as the rest of the planet! It is important to note that this Communiqué was signed not just by the TE countries and their associate and client regimes but also by the BRICS countries. This is far from inexplicable given that, apart from Russia which under the Putin presidency has taken measures to protect Russia’s industry (getting Russia into frequent frictions with the WTO in the process), and to control the activities of Transnational Corporations, the other BRICS countries and particularly the economic miracles of India and China have based their entire economic development on the sheer exploitation of local labor by TNCs and local oligarchs. Of course, Russia too suffers the consequences of the terrible legacy of Yeltsin ― a period justifiably celebrated by the TE ― who presided over the pillage of the country’s social wealth and the complete destruction of a social services system which had indeed managed to meet the basic needs of all its citizens. However, it is well known that although the oligarchs do still exercise significant economic power and (indirectly political power as well, through the “globalist” faction of the Russian elite) they have seen their economic power curtailed as a result of social legislation and their direct political power controlled by the Kremlin. In other words, Putin’s presidency restored Russia’s economic and national sovereignty, unlike the other BRICS countries, which never enjoyed for long such periods of sovereignty, apart from China during the Maoist period. That was a crime for the TE, as the NWO is based exactly on the abolition of economic sovereignty of every country integrated into it, and, by implication of its national sovereignty as well. Instead, a transnational sovereignty has been created, which is shared by the elites that constitute the TE. Yet, although the G20 Communiqué was very wordy in describing the advantages of free trade and open, as well as “flexible,” markets it did not have a single word to utter on the greatest violation of these market principles today, i.e. the severe sanctions imposed by the TE not just on the “usual suspects” (Iran, Syria, Cuba etc.) but even on the most important member of the BRICS: Russia itself! All the same, the fellow BRICS countries, with whom Russia is supposed to build an alternative pole according to the liberal “Left” (which does not object to the neoliberal globalization adopted by BRICS but just demands some “improvements”), did not dare even to express their objections to them and demand their abolition. This was, of course, far from accidental as the economic “miracles” of these countries was very much the result of the movement of significant TNCs activities to these countries, which could easily move their operations to other “paradises”. Every country integrated into the NWO begs them to invest in their own territory in order to create some growth and investment opportunities. Furthermore, it can easily be shown that even if the economic “superpower,” China were to decide to dump its huge holdings of foreign reserves to “punish” the U.S, it would be China that would suffer an economic catastrophe whereas the U.S could easily find other buyers, as long as the U.S dollar continues to be generally acceptable as a reserve currency. However, economic sanctions are a particularly effective form of warfare against a country like Russia, whose advanced technology and size makes a military attack against it inconceivable, if not suicidal, even for the TE and the all-powerful U.S army. No wonder that it was economic warfare which gave “victory” to the West in the Cold War (although there were internal contradictions involved as well) and it is exactly the same success story that the TE attempts to repeat now. Particularly so, when the chances of success of such an economic war against Russia are much higher at present than in the 1980s. This is for two main reasons. First, because an economic war against Russia is much easier than the similar war against the USSR for a variety of reasons shown elsewhere but mainly, because Russia is much more integrated into the NWO than the USSR (though not as much as the other BRICS countries). Although sanctions against Russia do have an effect on the TE countries, clearly, the benefits that the latter will have in the event it manages to integrate Russia into the NWO as a subordinate member (so that the pillage of the Yeltsin era could continue unabated), far outweigh any side effects of the present sanctions. Furthermore, as I had shown in another Pravda article, the present dramatic fall (and continuing decline), in the oil price is also part of the same economic war against Russia. The effects of this economic warfare against Russia are clearly to be seen already in terms of the significant fall in the value of the ruble and the consequent domestic inflationary pressures, which might lead to deflationary policies and some recession and so on. Second, because Russia is much more vulnerable to an economic war ― than the USSR ― since, as a FT analyst pointed out recently, Russia, unlike the USSR, “does not have an alternative ideology to sell”. However, this claim will not be true if Russia adopts the ideology of the Eurasian Union (EEU) in its original conception, as an economic union of sovereign nations (politically, economically, culturally and so on) which aims at the creation of an alternative pole to the present NWO of neoliberal globalisation. This clearly implies a break with the present international institutions controlled by the TE which impose the rules of neoliberal globalization (WTO, IMF, World Bank etc.). Yet, an alternative pole is at present more imperative than ever. Not only for socioeconomic reasons, as it would allow member states ― if it is organized on the basis of the above principles ― to impose social controls on markets and create new social welfare institutions and socialized industries controlled by employees and citizens’ bodies. But, also, for geopolitical reasons, as it is obvious that Ukraine is in fact the pretext used by the TE to subordinate Russia. Alternatively, if Russia continues remaining a member of the NWO, it will have only two options: either full subordination to the TE, or resistance with its hands tied. Particularly so as resistance under conditions of an economic war could easily lead to social unrest, with the decisive help of the TE and its organs within the fifth column, i.e. the globalist faction within the Russian elite. In that case, even resistance will not be possible to take the form of a new Patriotic War and, instead, it may well take the form of a “velvet revolution”! In conclusion, Russia is the only country today that can lead the struggle for the building of a really alternative pole to the NWO, provided however that this pole would consist of countries committed to alternative principles of socio-economic organization, like the ones described above. The sovereign nations that will choose to be its members should therefore discard the principles on which the present NWO is based and be committed instead to self-sufficiency (at the economic union level, something that would imply complementarity within the union). Of course this should not preclude bilateral trade relations with, for instance, BRICS countries, which prefer not to break relations with the NWO. Russia stands once more at an historic crossroads and not only its own fate but also that of the entire world will be determined by the decisions it takes, i.e. whether a new long period of Dark Ages will emerge, or whether instead the foundations will be set for a real society of self-determination. This article is also published simultaneously in Pravda. It was edited by Jonathan Rutherford. See for an analysis of the TE concept, “The Transnational Elite and the NWO as ‘conspiracies’”, Pravda.Ru (20/10/2014). see e.g. Pepe Escobar, “G20 in Australia: Buffoons v the Global South”, RT (17/11/2014). see also “BRICS and the myth of the multipolar world”, Pravda.Ru (06/10/2014). Martin Wolf and David Pilling, “China: On top of the world”, Financial Times (02/05/2014). see UKRAINE: THE ATTACK ON RUSSIA AND THE EURASIAN UNION, The struggle against the World Order of Neoliberal Globalization(published in December 2014 by Progressive Press), ch. 7. See “Oil, economic warfare and self-reliance”, Pravda.Ru (27/10/2014). Philip Stephens, “Gorbachev is wrong about a new cold war”, Financial Times (13/11/2014).